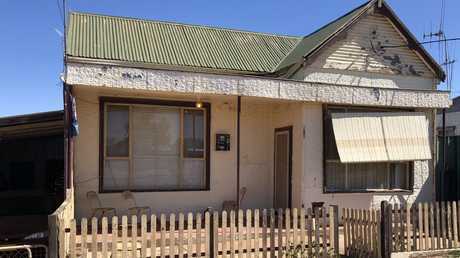 It’s no Taj Mahal, but this could well be the cheapest house in Australia. WANT to eat fancy breakfast every day and buy your first home? It can happen, but there's a catch. 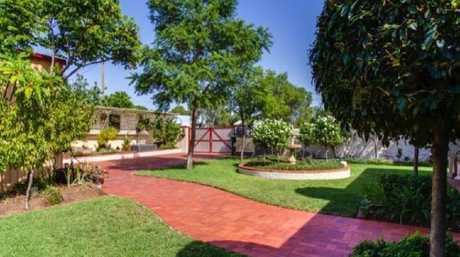 News.com.au has had a stickybeak around what could be the cheapest house for sale in Australia. For a likely sale price of about $40,000 - 20 times less than the average Sydney asking price - you can own a two-bedroom house with a backyard and garage located just over 1km from the CBD. "It's a house so cheap it sells itself. You can have smashed avo and buy a house as well. It's crazy isn't it?" said a local real estate agent. There's a catch though. This isn't a hidden gem in Sydney or Melbourne. This house is located in Broken Hill, 1000km west of Sydney, a town surrounded on all sides by desert. 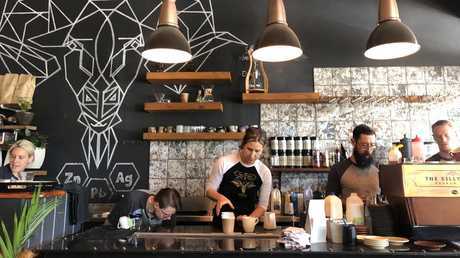 While it's far from the city, an innovative investor strategy in the outback town is helping people climb the property ladder in the big cities. 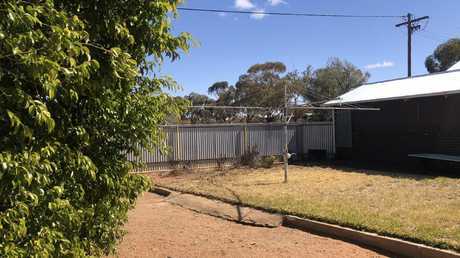 "This house is a renovator's delight," Cliff Wren from Broken Hill Real Estate told news.com.au about the single storey property on the market for $45,000. "Well, it's either renovate or detonate," he chuckled. "But everything's working and for 40-odd grand you could just use it for a weekend humpy." Mr Wren said grumbling home buyers in the city should upsticks to the bush to get a house. Argent St, Broken Hill is choc-a-block with heritage buildings, pubs and art galleries. 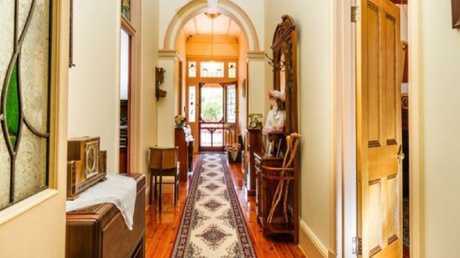 If you're willing to spend a little more, you can nab a luxury heritage home for less than half the average Sydney property price. And with a gangbusters rental market, some investors can pay off their mortgage in just a few years. 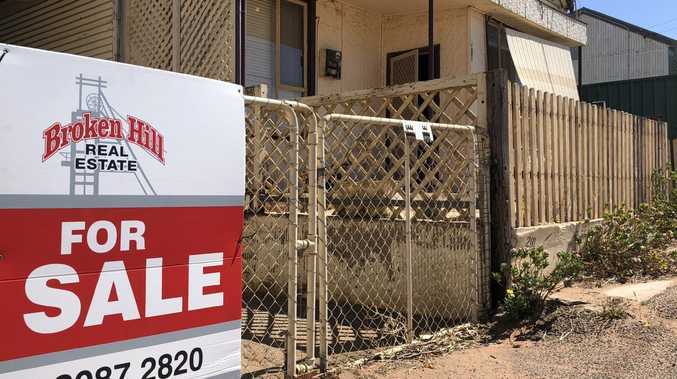 A property expert has told news.com.au that while prices are falling in the big smoke, they are rising in regional NSW and Victoria, driven by an affordability exodus from the capitals. "Average prices are $650k in Melbourne and $850k in Sydney. 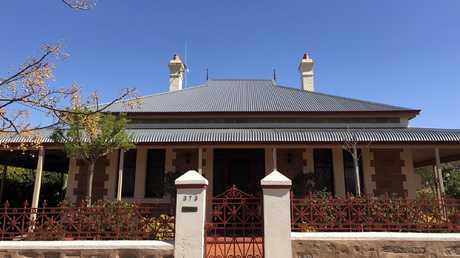 It's around $100k in Broken Hill so you can buy eight houses for the price of one in Sydney," Mr Wren said. 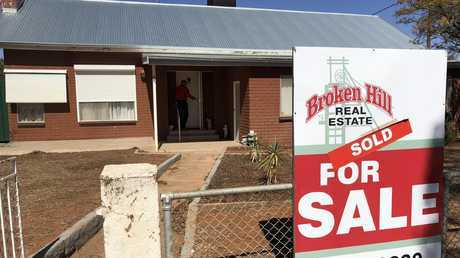 "It's a vibrant housing market in Broken Hill and it's cheap; you can buy a whole house for less than a Commodore." On the market for $45,000. On the market for $45,000, the two-bedroom house on Zebina St is 1.5km from the main strip with its pubs, hipster cafes and burgeoning number of art galleries. But the town is lacking in other areas - there's only one train a week, the nearest Big W or Kmart is 300km away and your front garden might be invaded by thirsty emus. 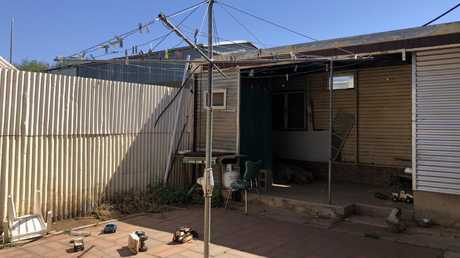 "Prices are so reasonable in Broken Hill because the underlying land value is cheap as chips; we don't have any rivers or beaches to push the value up," Mr Wren said. He admitted the cut price house was "no Taj Mahal" and needed around $15,000 to bring it up to rental standards. The exterior is weathered, the kitchen could do with replacing and a rusting Hills hoist creaks in the small brick backyard. But it was a small price to pay for a whole house. The house is also still full of clutter. 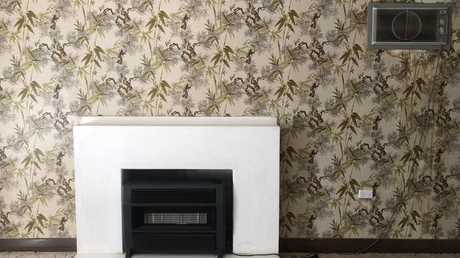 Doesn't it need a bit of a spruce up to attract buyers? "To sell this place? No," said Mr Wren. "It's not an Andrew Winter (presenter of Foxtel's Selling Houses Australia) style property when you want it to be well presented. It's so cheap, it sells itself." 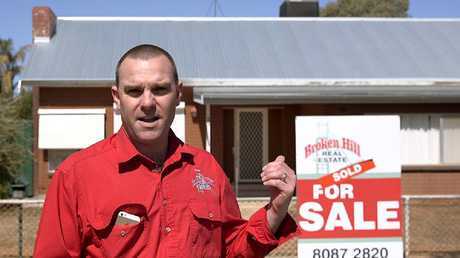 Cliff Wren of Broken Hill Real Estate outside an $80,000 three-bedroom property. He said the likely buyer would be an investor, many who buy sight unseen. "Investors just swarm at these houses under $100,000. They tart it up, make it liveable and then rent it out to a nurse for a couple of years. Mr Wren said people struggling to get on the property ladder in the cities should do the same: "Come to a regional centre. We have clients who've bought two or three little houses, rented them out for five or six years, paid it off and then sold them and that's their deposit for a house in Sydney, Melbourne or Canberra. "You buy it for $40k, spend $15k on it to make it look right then you could then sell it for $85k or $90k - that's a good little $25k flip." And the rental market is strong. Like many regional centres, Broken Hill hosts transient workers from the mining industry and public sector. ""If you were to purchase a property here, your mortgage repayments would be less than your rent - it's the Australian dream," said Mr Wren. While it's on the market for $45,000, he said similar houses in the past had sold for less; $38,000-$40,000 wasn't unusual. "This is some of the cheapest real estate out there. 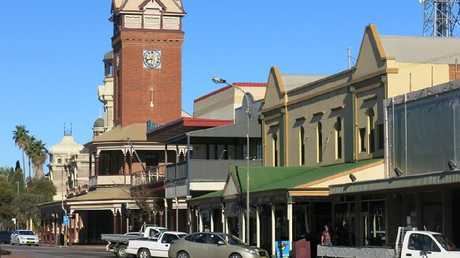 Even going to other regional centres like Coonamble or Wellington, the cheapest there are at the $50-$60k mark." It's not the cheapest house Mr Wren has sold: "In 2001 I sold a house for $4000. The homebuyers grant was $7k plus they didn't have to pay stamp duty so they were basically getting a credit." But what if you want somewhere you can move into without any major renos? What about a three-bedroom, one-bathroom home on a quarter acre block with garage? Yours for $90,000. "It's very liveable, just get rid of the shagpile and it'll come up a very good house," Mr Wren said. What will $90,000 buy you in Sydney or Melbourne? Nothing. 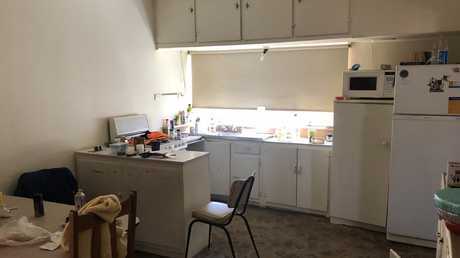 The lowest price for a studio flat in St Mary's, 50km west of Sydney, is almost $250,000. But if you're really flash with your cash, how about one of the town's swankiest houses? On Iodide St, a three-bedroom heritage property with floorboards throughout, period features and all around veranda shaded by trees in a large garden is a mere $390,000. Chief economist at website realestate.com.au Nerida Conisbee said property prices in regional areas were going up. Data from analysts CoreLogic said overall prices outside the cities had risen 2.4 per cent in a year in contrast to a -0.3 per cent drop in the capitals. "It's driven by affordability. Broken Hill is an extreme example of that, but places like Orange offer a really good lifestyle and homes that are well under $500,000. "There's a shift of younger people moving into regional areas as first-time homebuyers because it's a price point more people can afford and these towns have a lot of period homes and pretty main streets that make them pleasant places to live." On the regional ladder, Geelong is leading the way with a 9.8 per cent annual growth in prices followed by the NSW Illawarra and Southern Highlands; areas that benefit from being in commuting distance from major cities. Regions, such as the NSW Northern Rivers around Byron Bay, have benefited from local jobs growth, often due to tourism, Ms Conisbee said. 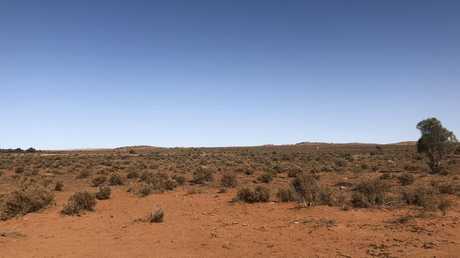 Despite its remoteness, Broken Hill has seen modest growth in prices by 2.1 per cent. 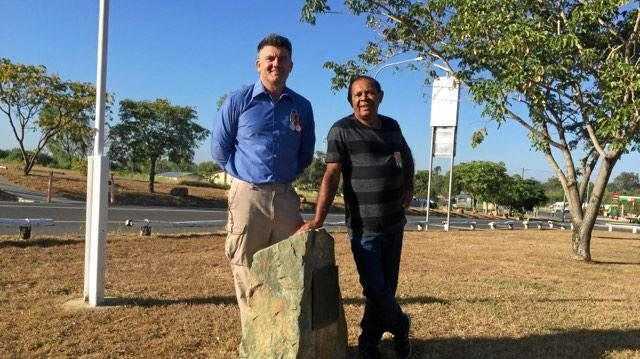 "Some parts of regional Queensland have not done so well due to a dependence on the resources sector and problems with the Great Barrier Reef have seen fewer tourist numbers." If considering going bush, homebuyers needed to be clear on their expectations, she said. "People typically buy property for capital growth but in a lot of regional areas we don't see great growth, but the yields are quite good as often the rent can be relatively high so investors can do well." Broken Hill's move to diversify its economy from mining to tourism and a growing arts scene, including the annual Broken Heel drag festival, could broaden its appeal. "MONA (The Museum of Old and New Art) has completely changed Hobart so maybe it's time for Broken Hill. It could be NSW's new cultural heart," Ms Conisbee said. And if you think everyone in Broken Hill is on incomes as low as the houses, guess again, Mr Wren said. "With remote allowances, you can live like a king out here. "If you're getting $100k a year and you take out a mortgage on a $250k house you could have it paid off in 10 years. Then you can drive around in the flashiest bloody V8 and go on holiday four times a year with no financial stress." You don’t have to roam far from Broken Hill to get to the desert. The home is, arguably, stunning. And has a large backyard.